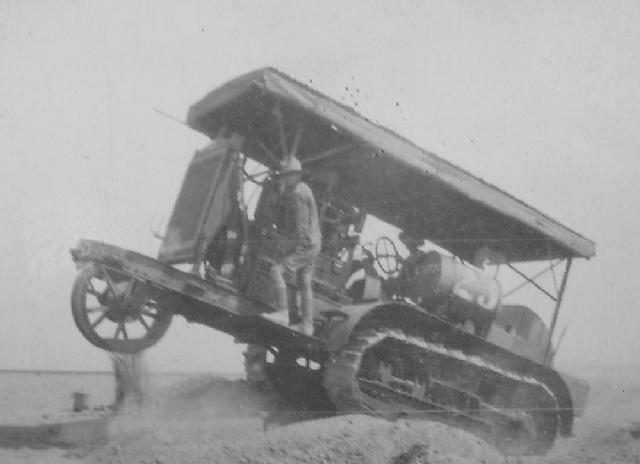 In preparation for the Third Battle of Gaza, at El Gamli, a tractor park was constructed containing many catapiller tracked tractors for pulling supply vehicles. This was part of the supply build up required to service the up coming offensive. To test the the tractors, they were given a tough ride over an obstacle course which tossed them around as can be seen in this picture.